Home > 2015 > DARTSLIVE > DARTSLIVE Coin Triple Bonus Campaign! DARTSLIVE Coin Triple Bonus Campaign! To mark the launch of the new App THEME “BULL COUNTER”‚ DARTSLIVE Coin Triple Bonus Campaign will start! 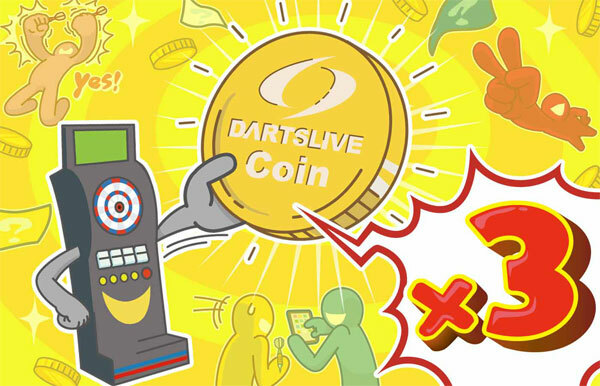 Go to the shop‚ play DARTSLIVE and get the Coin as your play bonus. The no. of Coins you get as your play bonus will be tripled during the campaign period!